The board also elected Ellen Zane vice chair and welcomed three new trustees. The George Washington University Board of Trustees elected 11-year board veteran Nelson A. Carbonell, B.S. ’85, its new chairman on Friday. Mr. Carbonell, who succeeds six-year chairman W. Russell Ramsey, B.B.A. ’81, will begin his three-year term July 1. Mr. Carbonell--who earned his bachelor’s degree in electrical engineering at GW and was inducted into the School of Engineering and Applied Science Hall of Fame in 2011--has served as vice chair of the board for the last six years. 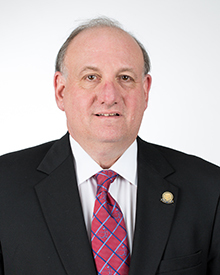 He currently chairs the Committee on Governance, Compensation and Nominations; the Committee on Finance and Audit; and Committee on the Science and Engineering Hall, which led the full board to approve the construction of a new, state-of-the-art building on the Foggy Bottom Campus. Previously, Mr. Carbonell founded Cysive, developing applications for companies seeking to increase their Web presence. He later went on to found Snowbird Capital, which provided mezzanine debt to middle market companies in North America, before founding Nelson Carbonell and Associates in 2010. Mr. Carbonell and wife Michele are also generous philanthropists, offering a $50,000 challenge to spur 50 percent of the class of 2012 to give to the senior class gift. The students exceeded the goal. They offered the challenge again this year to the class of 2013, increasing it to $51,000 for 51 percent participation in the gift campaign, and the students exceeded the goal again. They also established the Nelson and Michele Carbonell Engineering Endowed Scholarship at GW. Outside of GW, Mr. Carbonell serves on the board of the Flint Hill School in Oakton, Va. He is a former chairman of the Washington-Baltimore Young Presidents’ Organization, as well as a former member of its international board. Dr. Knapp also lauded Mr. Ramsey. On Friday, the board also elected Ellen Zane, B.A. ’73, its vice chair. 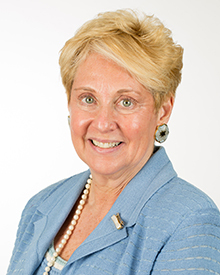 Ms. Zane, a nationally renowned health care leader, is vice chairman of the Tufts Medical Center Board of Trustees and an assistant professor in the Department of Medicine, Division of Clinical Care Research, at Tufts University School of Medicine. The board also reelected I. Allan From, B.B.A. ’72, its secretary. Mr. From is a shareholder in the law firm of Howard, Stallings, From & Hutson, P.A., in Raleigh, N.C. The board also elected three new trustees to four-year terms. Weston Burnett, J.D. ’75, LL.M. 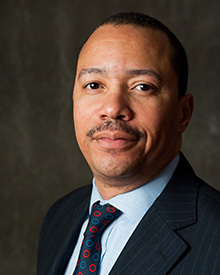 ’83, is managing partner of Cohen & Burnett, P.C., Attorneys and Counselors at Law and president and CEO of OptiFour Integrated Wealth Management, LLC. 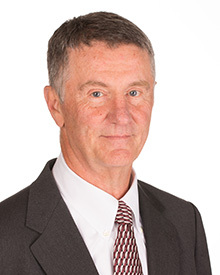 An expert in international law, including the law of war and law of sea, he previously served active duty with the Navy as a judge advocate, retiring as a senior captain in 2000. Mark Howard Chichester, B.B.A. ’90, J.D. ’93, is co-founder and president of Atlas Research, a Washington, D.C.-based health care management consulting firm that partners with public and private sector clients to find creative solutions to complex health care challenges. Mr. Chichester also holds a faculty appointment in the Department of Health Systems Administration at Georgetown University. Terry Collins, D.Sc. 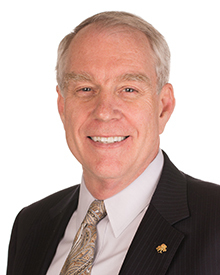 ’76, is retired from Boeing, where he most recently served as an adviser to the president of Boeing Network and Space Systems. Previously, he was vice president and general manager of the Electronics and Mission Systems division, managing 2,500 employees. Dr. Collins was inducted into the SEAS Hall of Fame in 2010 and received GW’s Distinguished Entrepreneurial Achievement Award in 2012. Also on Friday, the board elected as trustee emeriti U.S. Sen. Mark Warner, D-Va., B.A. ’77, and Sharon Percy Rockefeller, president and CEO of WETA, Washington D.C.’s flagship public television and radio stations. Sen. Warner served as a trustee from 1993 to 2001; Ms. Rockefeller served as a trustee from 1996 to 2002. The Honorable B.J. Penn, M.S.’80, retired assistant secretary of the Navy for installations and environment, and Sunil Wadhwani, chairman and co-founder of iGate Corporation, will depart the board June 30.